I know what you’re thinking – are you crazy? The idea isn’t that far-fetched in the tech ruled world we now live in. In fact, a Swedish firm Biohax has already microchipped 4000 employees and UK business BioTeq has fitted 150 with the implants. 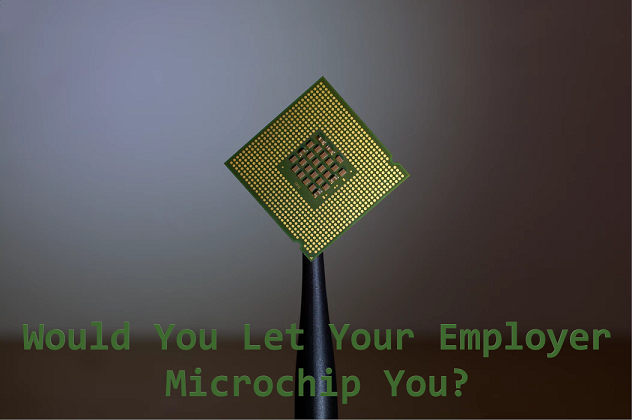 It’s been reported Biohax enters discussions with several UK businesses about fitting employees with microchips. But what do these microchips actually do? The microchips, which are about the size of a grain of rice, are installed with a syringe in the fleshy area between the thumb and forefinger. They cost £150 each and are similar to those used for pets. The chips can allow employees to pay for food and drinks at work, open doors, log in to computers and access to printers all at a faster rate etc. However, microchipping doesn’t just sound like something out of a horror film, it does come with a number of concerns too. In some cases, the implantation site may become infected, or the chip may migrate elsewhere in the body. It’s also potentially a major data breach. The data would have to be stored somewhere secure, it would have to stop collecting your data when you leave work. Many people will argue it’s too intrusive. Of course, it’s easy to forget that our phones track us every day and probably collect 100 times more data than this microchip. Although you can leave your phone at home you can’t leave your microchip on the side. You won’t lose your ID card anymore and it would speed tasks up at work. The development of this technology could also be used for seriously ill patients, or for people with dementia, by containing medical notes for doctors. With all of this in mind, what would encourage you to be microchipped? Maybe for some of us it would be money, more holiday or would you just never consider it.